Planning on serving alcohol at your Indian wedding? We hack bar table decoration ideas for you today, that'll make your wedding the talk of the town, dear brides. Drinks at the wedding is synomymus with tons of singing, dancing and merry making. What's a wedding without a toast we say! This is the day to raise a glass, get sentimental, down some shots and see your gal pals go crazy on the dance floor. To unleash the fun and crazy and make your wedding a joyous lifetime memory, all you need to do is set that perfect wedding bar table. Here's some quirky and unique wedding bar ideas, that will set the right mood for your cocktail or wedding reception party. 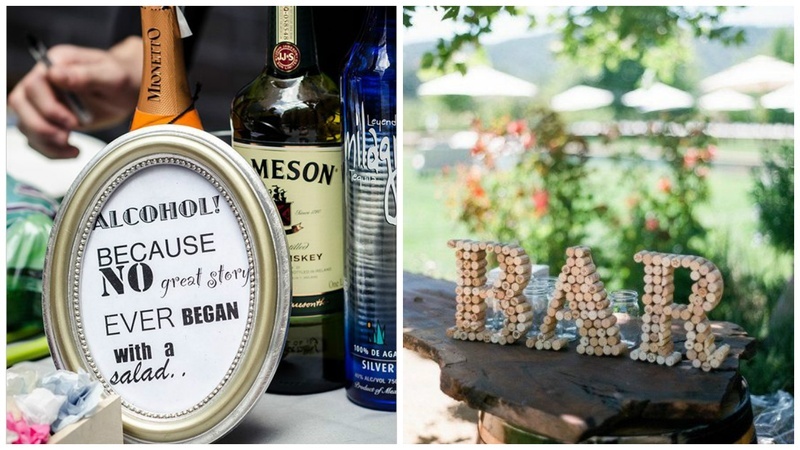 Whether your celebration is inside or out, these bar ideas will surely rock your wedding table decorations. Have a look. A Bartender Is Needed No More. Just Open That Tap and Fill Up the Glass. Big BOLD Signs To Guide Your Guests To Where The Bar Is Calling!